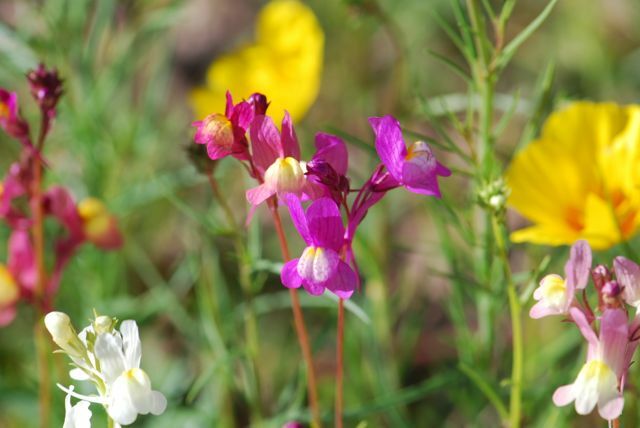 Our tiny mystery seeds from last week were from the Moroccan toadflax, Linaria maroccana. 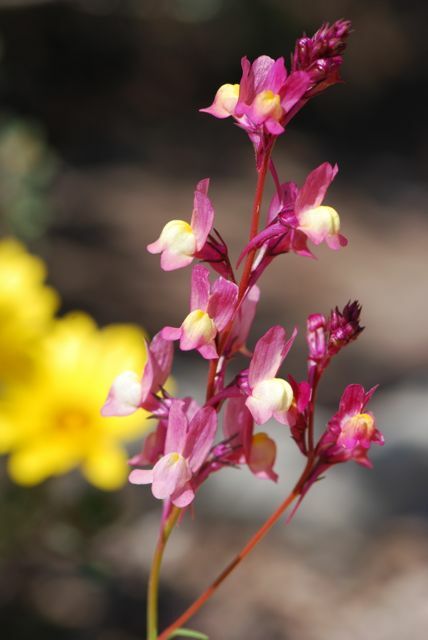 Moroccan toadflax are wildflowers that vaguely resemble snapdragons. They come in a variety of colors, from white to deep fuchsia. 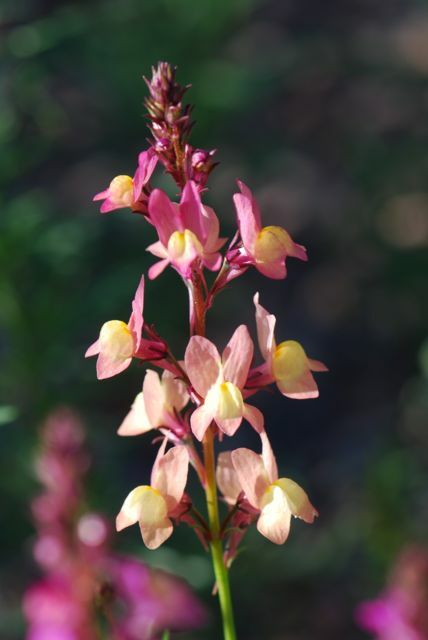 Although they are originally from Morocco, as the common name suggests, they are easy to grow and naturalize readily in some areas. Here in the Sonoran Desert region of Arizona they bloom in the spring. The leaves are narrow, and the plant tends to grow as a single upright stem about 14 to 18 inches tall. 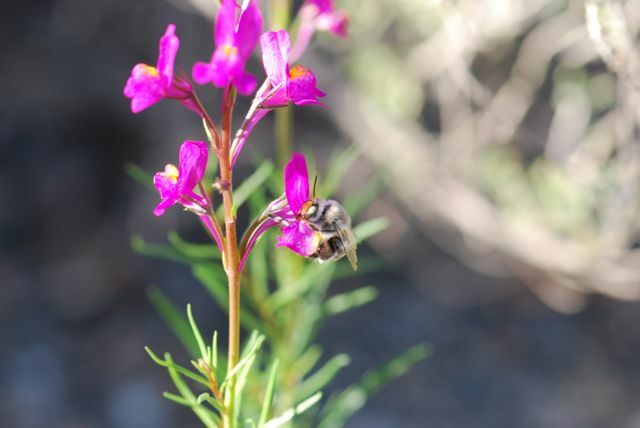 Certain native bees seem to really like them. 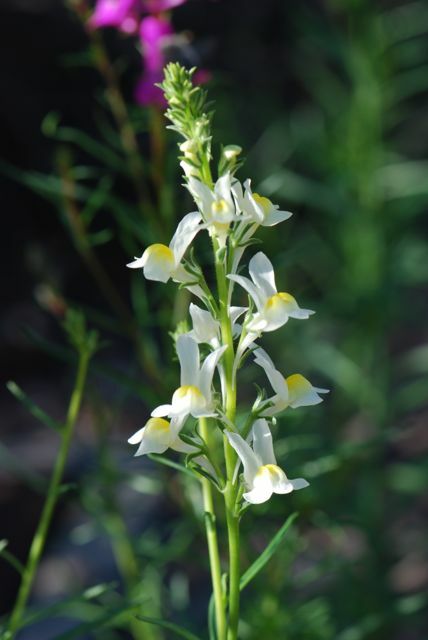 Does Moroccan toadflax grow where you live?